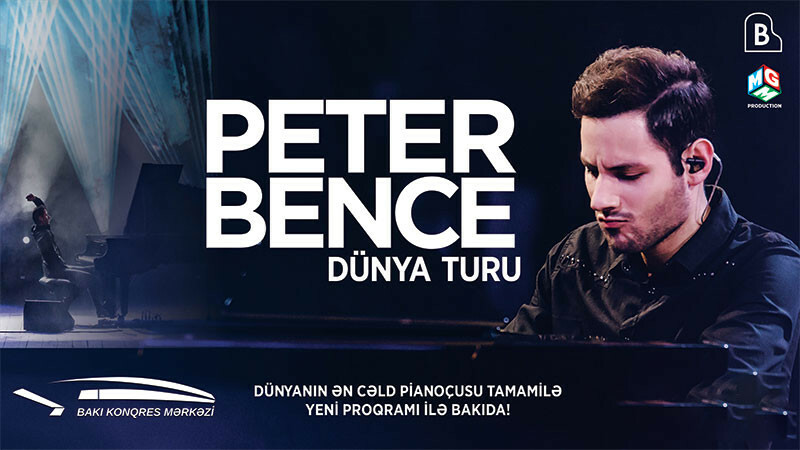 Peter Bence «Dünya Turu» in Baku Convention Center buy tickets online. Delivery of tickets for the event Peter Bence «Dünya Turu». Peter Bence: the incredible Guinness World Record-breaking pianist with the fastest fingers on the planet will give a concert on 22 th of November at the Baku Congress Centre! The fastest piano player of the world in Baku with absolutely new album! Come to enjoy the performing of the worlwide hits by him! Tickets to the concert can be purchased on www.iticket.az website, in the shopping centers of 28 Mall, Ganjlik Mall, ASAN Xidmət centers and in all ticket offices of the city.